The proposed disposal of The Gardens Mall, seen here with Christmas decorations, will enable the IGB group to streamline its property holdings. PETALING JAYA: IGB Corp Bhd's move to dispose of Mid Valley City Gardens Sdn Bhd (MVCG) to its 75%-owned KrisAssets Holdings Bhd is not entirely a surprise move as IGB has made its intention known for a while. Analysts said IGB had expressed its intention to inject its investment properties into KrisAssets to unlock its value as well as to streamline its retail operations. A local bank-backed analyst said the injection of The Gardens Mall into KrisAssets had always been in the books but the management had wanted the shopping centre to stabilise first before proceeding with any sale. “The announcement confirms earlier speculation that IGB might divest some assets. IGB had said it would inject The Gardens Mall into KrisAssets way back even when it was commissioning it,” he said. “Market talk is circulating that the announcement would be related to the divestment of The Gardens Mall to KrisAssets. 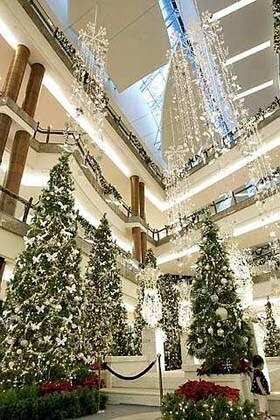 This has been the plan although timing is an issue the management wanted the mall to stabilise before crystallising the value of the asset,” AmResearch Sdn Bhd said in a report prior to IGB's announcement. “Further more, KrisAssets had recently executed the subscription agreement for the issuance of RM300mil convertible secured bonds, which would result in about RM500mil cash in hand,” it added. On Monday, IGB announced that it had entered into a heads of agreement with KrisAssets to divest MVCG to rationalise and streamline its retail operations. In a filing with Bursa Malaysia, IGB said it entered into an agreement with KrisAssets for the proposed disposal of 100,000 ordinary shares of RM1 each representing the entire issued and paid-up ordinary share capital in MVCG for a cash consideration. MVCG is the owner and operator of The Gardens Mall, a retail property located in the Mid Valley City. The Gardens Mall is located adjacent to Mid Valley Megamall. The Gardens Mall has a strong tenant mix comprising about 200 stores. “The proposed disposal will also enable the IGB group to streamline its property holdings whereby its retail properties will be consolidated and held under KrisAssets and this will allow the group to achieve greater operational efficiency and synergistic benefits,” IGB said in the statement. It said both parties had reached an understanding that the purchase consideration would be based on the net tangible assets of MVCG based on the audited financial statements for the financial year ended Dec 31, 2010 (FY10) and the market value of The Gardens Mall and the land it sat on, with an indicative value of RM820mil. “The proceeds from the proposed disposal will be utilised for new investment opportunities. IGB will continue to derive benefits from the future growth of The Gardens Mall via KrisAssets,” it said. KrisAssets said the proposed acquisition would substantially increase the net lettable area of its retail assets and, upon completion of the proposed acquisition, KrisAssets would own two prime retail properties in Kuala Lumpur. AmResearch estimated The Gardens Mall to be valued at close to RM1bil. “This is based on a cap rate of 6.5%. This would most likely be funded by cash with outstanding warrants of 106.3 million (at strike price of RM2.50). There will be an additional cash of RM266mil assuming full conversion of the warrants,” the research house said. “If this was to go through, we view the exercise positively given that the unlocking of The Gardens Mall would provide a stronger ammunition for landbanking for IGB we estimate the group to be in net cash position post-exercise,” AmResearch said. However, the research house said the divestment of other assets might take some time, as KrisAssets would be faced with funding issues to acquire the remaining of the Mid Valley City's assets such as Mid Valley and Gardens office towers and hotels with an estimated combined value of RM2bil to RM3bil. Thus, it thinks the establishment of a real estate investment trust (REIT) may not materialise. An analyst agrees with AmResearch. He said KrisAssets' plan for a REIT seemed unlikely for now though IGB would be injecting its newer Gardens assets, such as office towers and hotels, as they matured into KrisAssets. “This could also unlock value we saw when IGB injected Mid Valley Megamall into KrisAssets at market value for cash and shares in KrisAssets, which resulted in a gain of over RM800mil,” he said. He expects a similar transaction involving cash and shares for the disposal of MVCG to KrisAssets.